Deriving from Central and South America comes Andiroba exotic hardwood or more well known as Royal Mahogany. 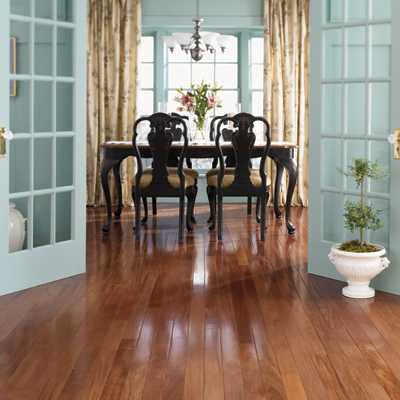 With its dark to medium reddish tones this floor will simply look royal in any home or work space. This exotic species has other names that it can be recognized by: Brazilian Mesquite, Crabwood, Cedro Macho and Carapa. Although this floor is predominately a medium to dark colored floor, with sun exposure it can darken with time. This exotic floor measures 2200 on the Janka scale which ensures durability. 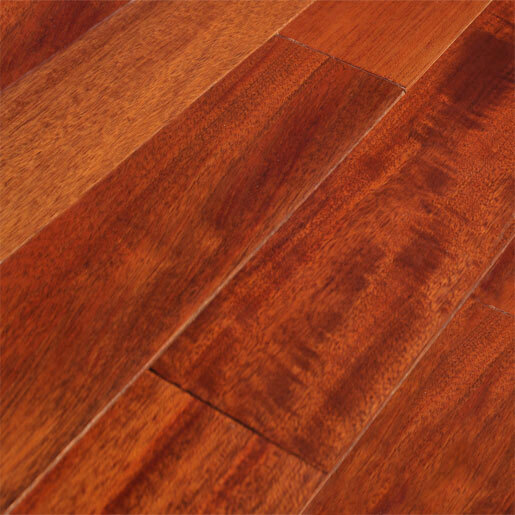 Royal Mahogany is offered in various widths: 3", 3 1/4" and 5".